Mutant, witch, or Avenger - call her what you will, there's no denying the power of Scarlet Witch! Channel your inner strength every day when you carry this faux-leather purse. 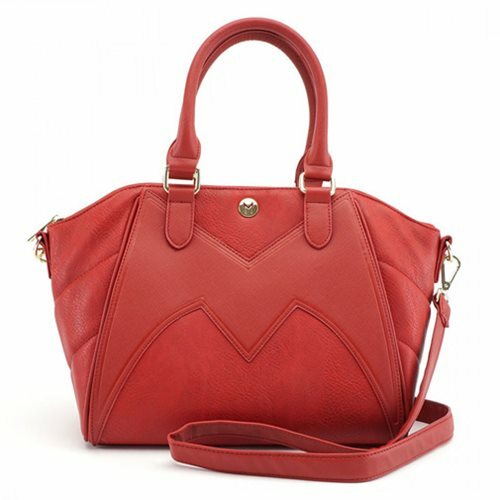 Based on Marvel's character, Wanda Maximoff, this bag design is inspired by superhero's red emblem. A blend of applique and quilting, the Scarlet Witch Crossbody Faux Leather Purse measures approximately 14-inches x 10 1/2-inches x 5 1/2-inches.